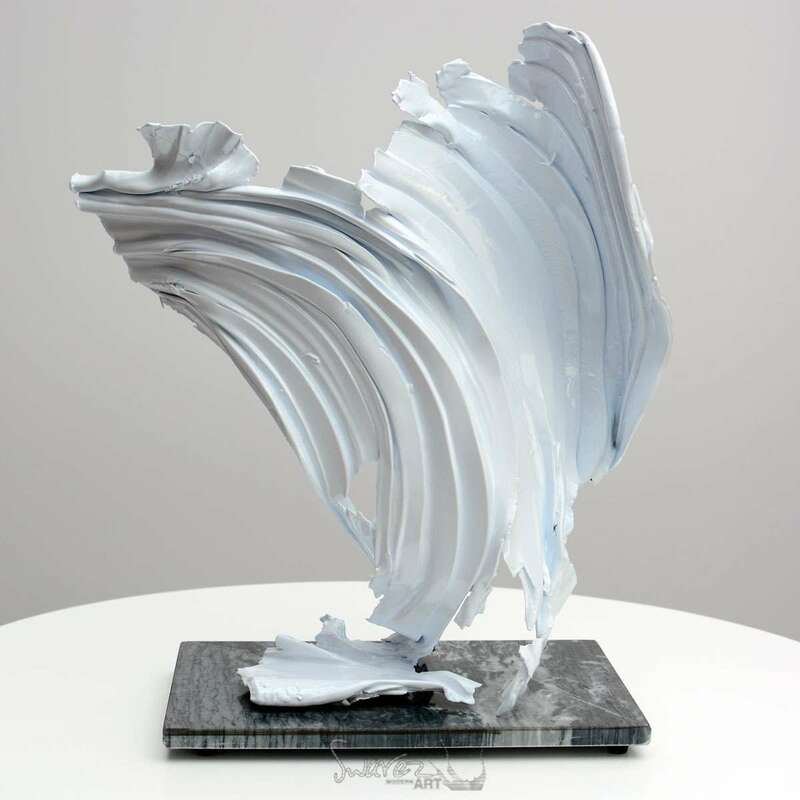 This is an aluminium hand formed sculpture with a light coloured white coating with tiny flecks of metallic silver. An original aluminium sculpture finished in an iridescent white colour with tiny pearlescent sparkles. Complete with a hand cut marble display plinth and an aftercare accessory kit.